Dans toute situation la manière dont réagit un #corps peut tout changer. Du moins faut-il, peut-on le croire. Pilots working for #Lufthansa and #Eurowings have halted over 200 deportation flights so far. 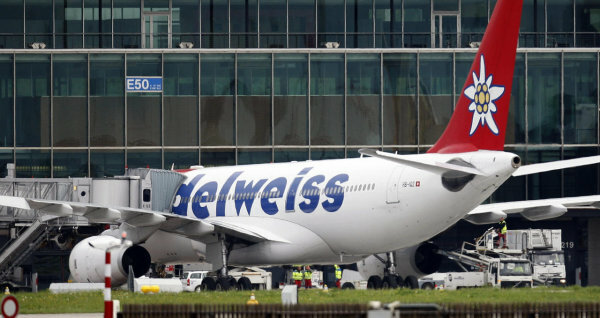 Pilots across Germany are stopping planned deportations of rejected asylum seekers. At the same time, refugees are appealing their deportation orders in record numbers - and winning. 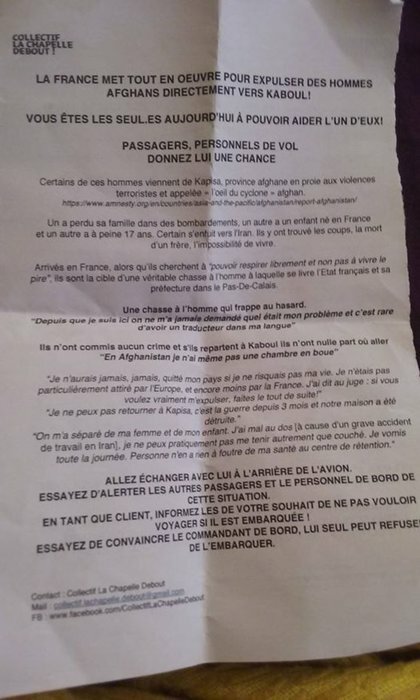 Depuis le début de l’année plus de 220 vols au départ de l’Allemagne à destination de l’Afghanistan ont été annulés parce que les pilotes refusent d’être impliqués dans des expulsions de demandeurs d’asile déboutés. - Düsseldorf. I piloti continuano a rifiutarsi di trasportare richiedenti asilo. 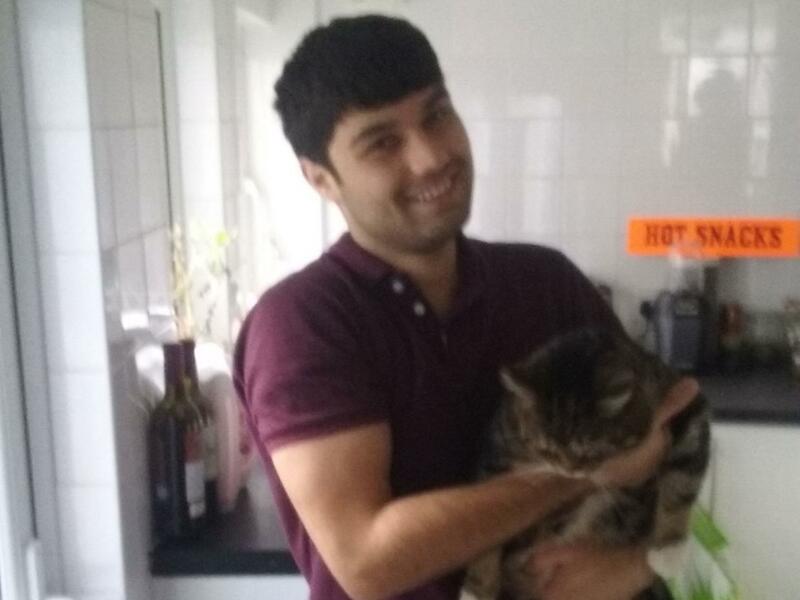 Nei primi nove mesi dell’anno sono stati annullati 40 rimpatri solo a Düsseldorf. – In tutta la Germania, nello stesso periodo, sono stati 222 i casi in cui i piloti si sono rifiutati di eseguire il rimpatrio. On Wednesday UK publication the Independent picked up a story in the German press about pilots refusing to take rejected asylum seekers back to Afghanistan. These rare decisions have nothing to do with the asylum process, though. “Israel is populated primarily by Jews who, in their near and distant pasts, were refugees in countries around the world. The vast majority became citizens and a small number remained as refugees. Most went through the Holocaust, many were forcefully expelled from their countries, and many others emigrated out of a desire to improve their lives in better countries that agreed to accept them. “As part of the Jewish people, as someone who was raised and educated with Zionist values that renewed the existence of our nation in the Land of Israel, who has lived here his entire life, who has taken part in missions behind enemy lines, which required no small amount of courage and belief in the justness of our path, recognition of Jewish morality and the sanctity of every human being whoever they may be, all in order to ensure ourselves and the generations to come that we will never again be refugees and reliant on the goodness of others. In recent weeks the Israeli government approved the deportation of refugees to third countries. According to the plan, the Holot desert detention facility, where many asylum seekers are held, will shut down and those who refuse to leave “voluntarily” to Rwanda and Uganda (and perhaps other countries) will be imprisoned indefinitely. According to numerous reports, which Rwanda and Uganda have denied, Israel will pay those countries $5,000 for each refugee they take in from Israel. Additionally, Israel will pay $3,500 to each asylum seeker who agrees to leave, although that sum will get smaller over time, thereby incentivizing them to leave sooner than later. A group of airline pilots in Israel recently vowed not to fly deported African asylum seekers and refugees back to war-stricken countries in their home continent, Israeli media has reported. Their protest comes days after Zizim Community Action, an Israeli non-government organization, launched an online campaign calling on pilots from the Israel Aviation Association and the Israel Pilots Association to refuse to fly migrants to Rwanda, Sudan or any other country deemed dangerous by the group. “Throughout the world, citizens are fighting cruel expulsion decrees and stand alongside refugees and asylum-seekers,” Raluca Gena, chief executive officer of Zizim, said in a statement last Thursday. “This is a test for the Israeli public to determine the fate of tens of thousands of people." Un passager entravé a pris place dans un vol régulier. Les autres voyageurs se sont plaints et l’homme a été sorti. BRATISLAVA, Slovakia — The People’s Party-Our Slovakia, after months of stirring up fears about foreigners and Muslim migrants, decided to take action: This spring, the group’s leader proudly stood in front of the main railway station in #Zvolen, Slovakia, and announced that a new group of volunteers would begin patrolling passenger trains to keep the “decent citizens” of Slovakia safe from criminals and minorities. Czech and Slovenian authorities have voiced alarm over the emergence of armed anti-migrant militias in the two central European countries. The concerns come after revelations of a paramilitary base, with tanks and armoured personnel carriers, used by a biker gang with Kremlin ties in Slovakia. The Czech intelligence service, the BIS, voiced its worries about a group that calls itself the National Home Guard in a classified report seen by Czech daily Mlada Fronta Dnes. “Parts of this group have begun to adopt the concept of armed groups. Due to the fact that some of the members are strongly xenophobic, racist, and completely reject the orientations of Czech internal and foreign policy, they could pose a significant [security] risk,” the BIS report said. The home guard groups, which have up to 2,500 members in 90 national branches, patrol the streets of some small Czech towns, such as Nymburk, 50km west of Prague, looking for irregular migrants. They appear to have links with local police and have political support from National Democracy, a fringe far-right party. They also have ideological leaders, such as David Buchtel, a Czech academic and National Democracy member, who publishes leaflets saying that Nato plans to “occupy” the Czech Republic and force it to take in migrants. The Czech foreign ministry has said the groups pose a risk of violent protests, such as the recent anti-migrant riots in the town of Chemnitz, Germany. Andor Sandor, the former chief of Czech military intelligence, the VZ, told Radio Prague, that even if it does not come to that, their day-to-day activities pose a threat to the Czech political landscape. “This could stem from the view, that the European Union is not able to manage the migration crisis. People who believe that neither the state nor Europe can manage this [crisis], will take matters into their own hands to protect their families and their property,” he said. The Czech worries surfaced a few days after a social media stunt by Andrej Sisko, a far-right politician, which caused alarm in Slovenia. Sisko posted a Facebook video of himself with a group of some 70 masked men armed with machine guns in the Slovenian countryside. The group, called the Stajerska Guard, was filmed taking an oath to secure public order in the country. It numbers several hundred people in total, the Reuters news agency said. “We are doing nothing wrong and we would be even interested in co-operating with the police,” Sisko said, in an echo of the Czech home guard’s modus operandi. His political party, the anti-migrant United Slovenia Movement, has also vowed to protect the county’s ethnic identity. Borut Pahor, the Slovenian president, said: “Slovenia is a safe country in which no unauthorised person needs or is allowed to ... illegally care for the security of the country and its borders”. The creation of the Stajerska Guard was “absolutely unacceptable” and it “needlessly stirs up fear and spreads hatred”, outgoing Slovenian prime minister Miro Cerar said. Earlier in July, Slovakia was also put an alert when journalists filmed a paramilitary compound in Dolna Krupa, a town some 50km north of Bratislava. The base, a former pig farm, is used by the Night Wolves, a biker gang and by two far-right militias called the Slovak Levies and NV Europa, the BBC reported at the time. It contained a shooting range and tanks and armoured personnel carriers that had been supplied by a military vehicle museum. The revelations were “disturbing” and the groups’ influence was “harmful, especially in spreading their opinions that strive to rewrite history”, a Slovak foreign ministry spokesman said. The Night Wolves gang has well known links to the Kremlin. The other paramilitary groups and their political supporters also repeat Russian propaganda lines on migrants and EU failures, but neither the Czech or Slovene authorities spoke of Russian involvement in their activities. The notion of a ’migrant invasion’ in central Europe is not borne out by facts. The Czech Republic took in 12 migrants from Greece and Italy under an EU scheme and granted asylum to just 145 people last year. Slovenia granted asylum to 152 people last year. Slovakia has boycotted the EU scheme, along with Hungary and Poland, and had juts 56 applications for asylum as of June this year. But the Czech intelligence assessment that the home guard group “completely [rejected] the orientations of Czech internal and foreign policy,” was also open to question. Czech prime minister Andrej Babis has vowed to join an anti-migrant political axis in Europe alongside Hungary and Italy’s far-right leaders. Meanwhile, anti-migrant rhetoric by leading politicians has become a mainstay in Slovakia and Slovenia, where the far-right Slovenian Democratic Party became the biggest one in June elections, but failed to find coalition partners to form a government. On any one night in London, there around 700 people sleeping in the city’s streets. Rough sleeping is a risky decision – and almost always the choice of the most desperate. Yet the response of the state – and our society – is surprisingly hostile. The bleak, concrete architecture of #Euston station has become painfully familiar to me. As a commuter, I have spent countless hours at the station, passing through on my way in and out of London. I have noticed the subtle changes to the station layout that have taken place over the years. For example, when the public bins disappeared due to heightened fears of a possible terrorist attack, and when a number of new food and retail outlets appeared on the concourse. Most vividly of all, I remember when the toilets were no longer free to use. These changes are not necessarily a problem in of themselves. It could legitimately be argued that to use a section of a large empty concourse to sell things that commuters might want to buy is nothing but a practical use of space. Indeed, the small square outside of the main entrance, which used to be populated solely by pigeons and smokers, has been greatly improved by the addition of a few restaurants and food stalls. However, alongside this increasing commercialization of public space, which has been widely documented in city centres up and down the UK, is a more concerning trend in the use of architecture to enforce social divisions. Outside the entrance to Euston you will usually find large numbers of people sitting smoking, eating or enjoying the ‘fresh’ air outside while they wait for their train. There are a number of public benches, which are utilized by the nearby food stalls, but when they fill up it is not uncommon to see people perched on nearby walls. However, on a recent visit I found that some of these walls are now lined with spikes. An unwelcome nuisance to people with no other place to sit, but their purpose becomes clearer once we consider that the wall stands at a corner of the square usually frequented by a Big Issue seller and a few other homeless people. These are the ‘anti-homeless spikes’, which have recently been the source of widespread outrage and media attention. The recent public outcry began after pictures were posted online of a set of inch-high studs that had been installed beside the entrance to a block of luxury apartments in Southwark Bridge Road in London. 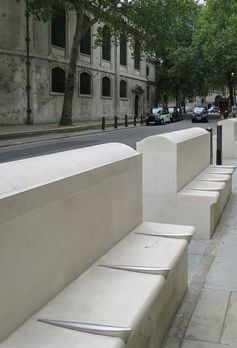 This led commentators to point to other similar examples of hostile architecture, with Tesco hastily removing a similar set of ground spikes, outside the entrance to their store in Regent Street, after it attracted condemnation and a petition by outraged members of the public. The Tesco spokesperson’s defence that the spikes were not in fact anti-homeless but rather intended to deter “anti-social behaviour” outside the store that might intimidate customers – as if sheltering in a doorway was an act of vandalism rather than necessity. In these cases, though it is far from charitable, arguably private landowners have the right to put what they want on their property, including taking measures to prevent homeless people from sheltering on the periphery of it. But what about in places that are at least notionally open to the public? Camden Borough Council was criticised for its decision to replace ordinary benches with what is known as the ‘Camden Bench.’ The bench is specifically designed to be unappealing to the homeless. The manufacturers website boasts that it “deters rough sleeping” and that its “ridged top and sloped surfaces make it difficult to lie on”, while also making dubious claims that the benches unusual shape might also deter theft and drug dealing. Again, there is an anti-social behaviour prevention justification for the hostility of its design. With one of the other key features of the bench being that it is designed to be difficult to skateboard on, although its smoothed concrete edges demonstrate that the designers didn’t fully understand what makes for an unappealing surface for skate tricks! Skateboarding is an interesting choice of behaviour to try and deter as it conjures up an archetypical image of young people up to no good. In practice skateboarding is rare in the capital and evidence of it being the cause of damage to property is even rarer. In spite of this, skateboarders are routinely marginalized and forced out of public spaces as can be seen in the recent plans to remove the unofficial Southbank Skate Park, which, far from being anti-social, had transformed a dingy under croft into something of an attraction. The increasing prevalence of all manner of ‘hostile architecture’, though only recently becoming the focus of media attention, has been documented for at least three decades. Mike Davis’s City of Quartz: Excavating the Future in Los Angeles (1990) is a study of the architectural history of L.A., which is remarkably prescient in documenting a growing trend towards, what Davis astutely described as, ‘the architectural policing of social boundaries.’ In his chapter on ‘Fortress L.A.’ he gives the example of barrel-shaped bus stop benches, impossible to lie down on (or indeed sit on comfortably) which were a novelty at the time, but are now employed in various forms in cities all over the world, as we saw with the Camden Bench. A public park with sprinklers that are set to come on in the night so that homeless people are discouraged from sleeping there, public libraries with prison-like exterior gates, and malls that are accessible only via their car park (and therefore impossible for a pedestrian to pass through) are all powerful examples of architectural features that exist purely to deter the destitute. In contrast to this, Davis invokes the planning logic behind many great public spaces, including Central Park in New York, which was intended in the words of its designer Frederick Law Olmsted to be a ‘social safety valve’ in which members of all classes are forced to intermingle. It is somewhat ironic in the light of this noble intention that for many decades crossing Central Park after dark was considered too dangerous for residents of the lavish buildings that surround it. With the examples from Davis in mind, the removal of free to use public toilets at Euston -as in stations and town centres up and down the country- takes on a more sinister aspect, as public toilets are often a vital refuge where homeless people can shelter, wash or use the facilities. Along with privatisation, the usual justification given for making toilets pay to use is that it might deter drug dealing or even prostitution. This claim is dubious as any individual with money to indulge in either of these activities might well be willing to spend thirty pence for the privilege. Only a homeless or destitute person might reasonably be deterred by being charged a small amount to enter the toilet. A frequent visitor to Euston might point out that there are various places where one can visit a toilet for free in and around the station, providing that you know where to look. An art gallery, a museum and a university are all within walking distance. However, these are precisely the sort of quasi-public spaces that a homeless person or even a casual pedestrian is unlikely to be aware of or to be admitted to. The replacement of public space with commercial or pseudo-public spaces creates a stark division where a well-heeled person can easily have access to shelter, toilets and a comfortable place to sit simply by purchasing over-priced coffee, but where, in the same space, a rough sleeper will struggle to find even a flat surface on which to sit. The changes that have taken place in Euston station over the past few years should be a source of concern to us all, in so far as they represent an attempt to enshrine social divisions into its very architecture. If there is a silver lining, it is that the outcry against anti-homeless spikes and other attempts to make public space inhospitable demonstrates increasing public awareness regarding this trend. In the age of increasing quasi-public space we must be vigilant to preserve the right of free movement and basic access to facilities for all. 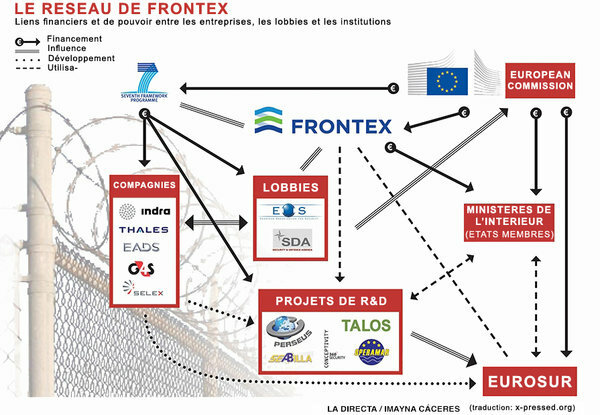 L’« Agence européenne pour la gestion de la coopération opérationnelle aux frontières extérieures des États membres de l’Union européenne » (#FRONTEX) est devenue opérationnelle le 1er mai 2005. Sa création avait été proposée un an plus tôt par le Conseil européen avec comme objectif principal l’amélioration de la gestion des frontières extérieures des Etats membres de l’UE et la coordination opérationnelle entre ces pays. 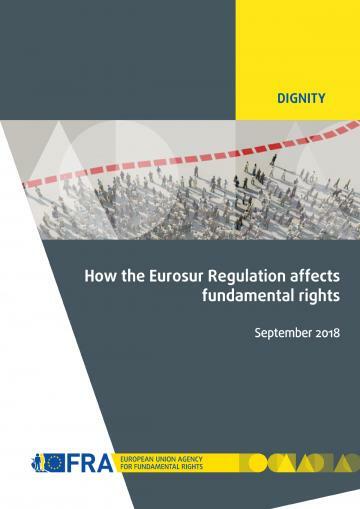 In November 2017, the European Commission requested FRA’s support in evaluating the impact on fundamental rights of the European Border Surveillance System (Eurosur) Regulation. Further to this request, FRA reviewed the work of the European Border and Coast Guard Agency (#Frontex) and analysed cooperation agreements concluded by EU Member States with third countries which are relevant for the exchange of information for the purposes of Eurosur. This report presents the main findings of such review.